Can I go now? Welcome back, Kris. Good to see you Tweet! I was wondering if you were gone forever. Or if blogging became too much of a bother to work with. Cool shot! You didn’t miss much in the ‘sphere. Was this taken in Tanjung Aru? My second home is in KK and have snapped ten gadzillion of the sunsets and yet it remains different each time. 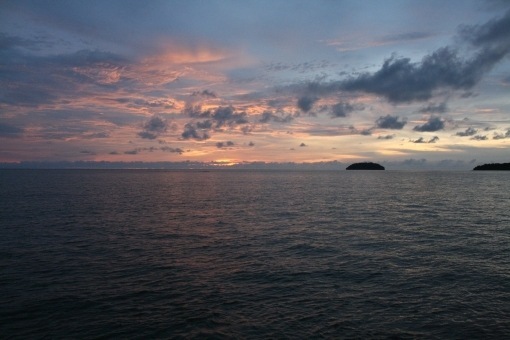 ..
@Hanie: This picture was indeed taken in Tanjung Aru at the Sunset bar of the Shangri La. I’ve taken quite a few pictures of the sunset myself on several days and the difference in colors is amazing.